Excellent progress! Congratulations! On my old vehicles, I soak the oil seal felt in vegetable oil before fitting. It then compresses nicely and mineral based lubricants does not wash the vegetable oil off. Looking forward to the next post! Just a follow up on the new oil pump made for my 1927 Velie: Start up pressure is 60 Lbs. and at slow idle hot is 30 Lbs. I need to modify the relief valve spring a bit to bring it down a bit. The VW gears are 32mm OD. 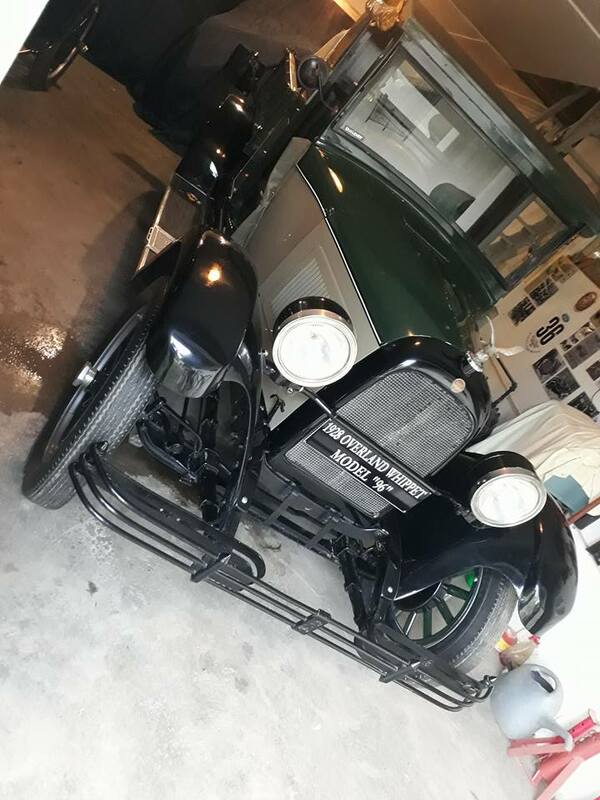 I am busy restoring a 1927 Velie car. The oil pump was in a terrible condition and would not even pump oil. I purchased a new high output pump for a VW Beetle. We used the gears from this pump, measured all the clearances and machined a new pump body to fit the gears to the measured clearances. The VW pump is cheap and available. Good luck! I am in a similar situation finding parts for a vintage car that is the only known one of its kind on the continent of Africa and one of about 8 worldwide. I have owned it since 2001 and only managed to find a speedometer in all this time. I started working on it towards the end of November 2013 and forwarded pictures and progress reports to some contacts that have similar vehicles in the USA and Canada. The car was about 60% complete at the time. It is now 90% complete. I received measurements, photos and leads on parts from various sources. The remaining 10% comprises of trim items that can be sourced from other vehicles or made up. Most of the parts came from the USA, some from Canada and the UK. I have just located a bonnet/hood for it in Texas after receiving drawings and photos to make one. At least the drawings and photos assisted in identifying the part. Good luck with your project and I am looking forward to read on your progress. Regards!